An extraction is done using tools called elevators and forceps. An elevator is a long instrument with a flat end that is placed in between the tooth and the gum pocket. It is rocked back and forth to loosen the tooth. 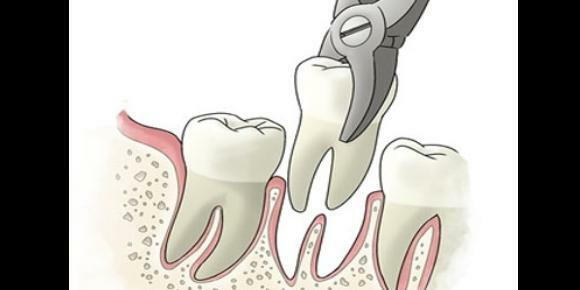 Forceps are used to grasp teeth from the top and loosen them before pulling them out. During the simple extractions done at most dental offices, these tools are all that is necessary and the procedure is usually over in less than an hour. However, there are more complex procedures which may be used if the tooth is impacted or had not yet erupted. These may involve making an incision into the gum tissue to provide another way of manipulating it or cutting it into sections before pulling it out.